For gyms and dance studios, equipment is very important. But not only the actual lifting fitness equipment or glassless mirrors – another important part of the machinery you need is the vending machine. It is a great additional source of revenue for your studio or fitness club, and even better – nutritional information of the products is displayed on a convenient touch-screen display. Improve customer experience and generate more profit for your gym or dance studio. Whether you run a gym, swimming center, or health club, a vending machine will also greatly increase productivity at your workplace. In a field that demands personal interaction, you can spare your staff the responsibility of selling things such as beverages and equipment and always have them at the ready to care for clients. Intelligent Foods on Demand will work closely with you to build the perfect machine for your business, whether you want to vend sports drinks, swimming goggles, weight gloves, or a combination of all three. With a fitness vending machine, 24/7 gyms can utilize much smaller overnight crews and save your company a fortune. Intelligent Foods On Demand will work directly with you to determine your Gym’s customized product mix and on-machine digital content. Only healthy, tasty, and customer-tested products are offered. Your Gym receives commissions on all product sales and digital advertising revenue generated by the machines, which amounts to thousands of dollars in additional revenue. You will get full transparency into every transaction via our client specific web portal that allows for live reporting of machine sales, issues and services. We offer a wide range of vending machines of your needs, which can be customized for your needs. Intelligent Foods on Demand, the leading healthy vending machine company in NYC is continuing to expand into dance and martial arts studios, providing staff and students with a selection of healthy snacks such as yogurts, smoothies, fruit, vegetables, granola bars, baked chips and natural sodas at the touch of a button. Get a free vending machine and a signing bonus by filling in our form. Intelfoods offers healthier vending machine snacks as an alternative to traditional vending machine junk food of sugary drinks and snacks. Inspired to better our community, we are dedicated to improving access to healthier snack options for dance and gym studios. We want to our my part to help change the perception of healthy food and vending machines. Intelligent Foods on Demand touts its vending products as a means to keep minds and bodies in better shape. Our mission is to help eliminate junk food, which is associated with causing obesity, higher absenteeism and higher medical insurance rates. 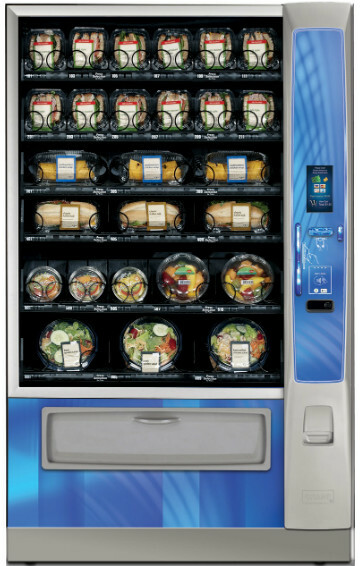 Our vending machines are a great way to offer the community healthier food options tailored to their dietary needs. Teaching kids the importance of eating healthy and prompting them to make more nutritious food choices is something we believe is critical, especially considering the rise in childhood obesity. We are happy to see the community taking the necessary steps to safeguard children and employees and promoting healthful living. Intelfoods promotes a healthy lifestyle by placing our machines in office break rooms, school campuses, shopping malls and hospitals. Just as our intelligent, personalized vending solutions can take your customer service to the next level, our machines provide an extra barrier of security for your valuable goods. By selling fitness products such as ballet slippers, bottles, and gloves in one of our highly-protected machines instead of in an office or storage room, you can lower the chance of theft and keep inventory shrinkage to a minimum. Instead of spending payroll to keep your staff watching over your items late at night, you can enjoy the peace of mind by viewing reports at our integrated web-based system that only a highly-secure fitness vending machine company like ours can provide. Full maintenance, administrative support, cleaning, stocking with products and 24/7 support! $500 signing bonus if you contact us today! Profit from your Venue with No Cost Up-Front? Start with a full vending machine service and a $500 signing bonus.